I bought this nail lacquer from the Escentual.com 25% off sale. I'll be the first to admit that I am a sucker for packaging and this nail polish is certainly something to behold. It features the signature gold with the screws. 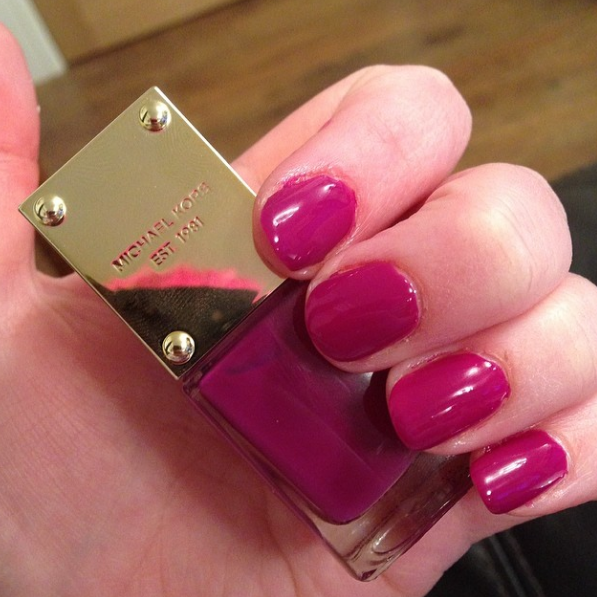 I picked out the colour 'Envy' - a pinky purple colour that looks exactly the same colour in the bottle as it is on the nails. I found that it applied easily and was fully opaque in two coats. Wear time was decent, but didn't last quite as long as I would expect from a high end product, but it is still cheaper than the likes of Chanel etc at £15. I'm glad I got this with 25% off as I think it's worth what I paid for it, but don't think it would be worth the £15 price tag.